This “Landing Craft Utility” vessel is yet another post-war amphibious assault ship. There were many variants of this “Utility Landing Craft” designed and built during World War II. This particular ship was designated as a “Landing Craft Tank” (LCT 6). Vessels of this type could be stored and operated from larger “Landing Ship Tank’s” in order to deliver men and equipment onto the beach. A specific L.C.U. did not appear until after World War II. The L.C.T. (LCT 6) was often carried fully loaded on the main deck of a “Landing Ship Tank” (L.S.T.). While approaching a landing site, this type of amphibious ship (LCT 6) could be off-loaded providing a more rapid deployment of assets. It is believed that this particular ship was sunk due to an accident or storm. 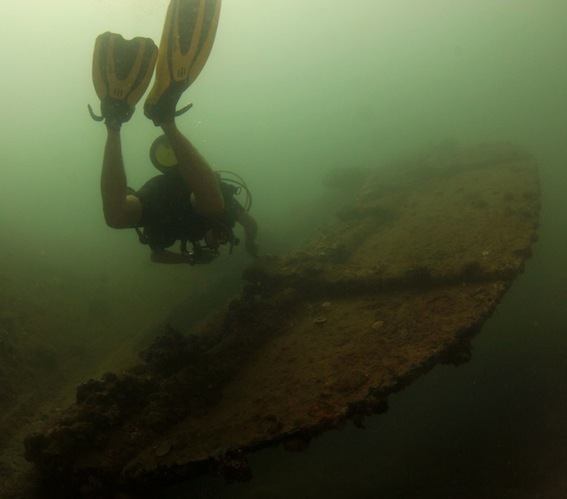 The wreck lies in very sheltered water inside the Triboa Bay, close to the end of the main Subic Bay runway. It is resting with its large forward ramp still raised and positioned upright on a sloping bottom, with a maximum depth of approximately 22 meters (75 ft.) and the more shallow parts at around 9 meters (32 ft.). The wreck is now home to a collection of different Lionfish species, along with schools of Jackfish and various Reef fish. There are two gun platforms at the mid-section and several rooms that offer short penetrations towards the rear. The vessel is intact and it is easy to gain a comprehensive appreciation of her features in a single dive. Visibility varies from 10-25 meters depending on season, tides and currents. 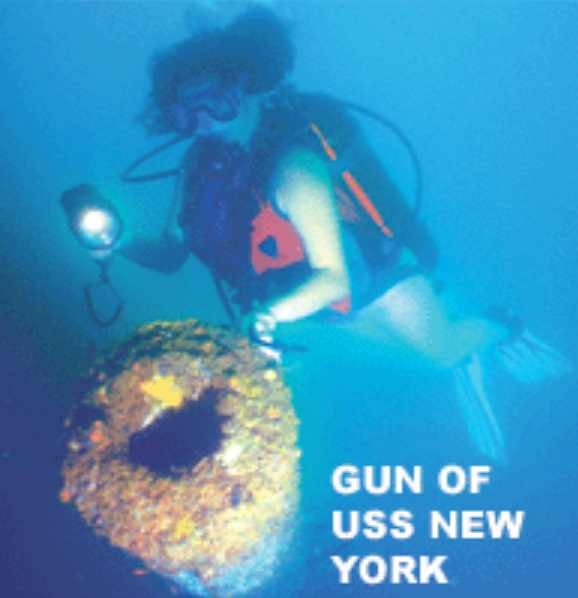 This site is a great dive for the underwater photographer but also used for recreational and wreck penetration diving. 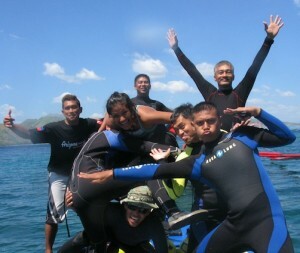 The dive site is suitable for both beginners and more advance divers. View a video clip from the L.C.U. dive site.